DIY home decorations are a great way to spruce up your living space on a budget. Whether you make decorations from scratch or re-purpose old items, you can’t deny that do-it-yourself (DIY) seems to be the best way these days. Check out the below fun DIY home decoration tips to give your home a new makeover. 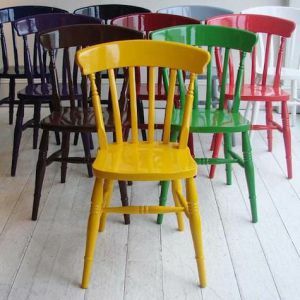 Liven up your home space with a bit of colourful furniture. This is one of the easiest ways to give your home a brand new touch. Simply sand it down and then paint it with the colour of your choice! For brighter colours, you might want to start with a white base coat to make the final colour pop. 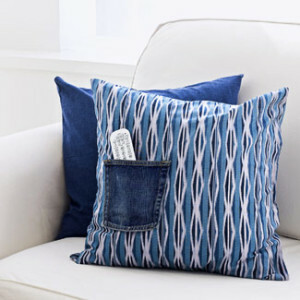 Keep the remote in easy reach of your armchair with this pillow pocket. You’ll need: a throw pillow with a removable cover, the pocket from a pair of jeans and fusible webbing. Cut the whole pocket out of the pants. Sandwich the webbing between the cover and back of pocket edges; iron layers together. Put the cover back on, and place it neatly on the sofa. Need a new creative table setting that really catches the guests’ eye? DIY your own. 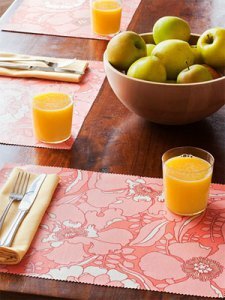 Search for an interesting fabric pattern which is thicker and durable, cut the fabric into place mat sized pieces apply an iron-on-vinyl on both sides and then trim the edges for a clean look. 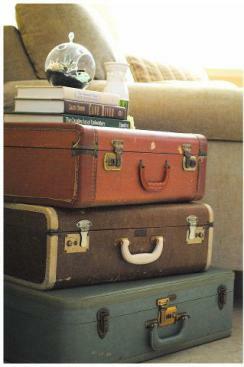 Suit up vintage luggage as clever storage. If you can’t get your hands of some vintage looking suitcases, try stacking them in your room to create an interesting looking side-table. Start with the largest suitcase on the bottom for balance. 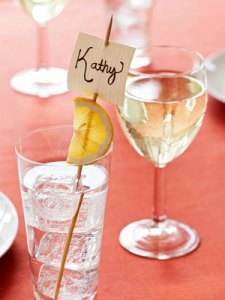 For your next dinner party, try this DIY trick: Spear place cards onto wooden skewers atop lemon slices, then park them in glasses as you set the table. Simply snip card stock into 2-inch squares, write names, slice lemon, and assemble on skewers. Hint: Remind guests to remove them before drinking. Do you have any DIY home decorating ideas that you’d like to share?